On July 29, 2016, Rukosky & Associates co-sponsored an event with The Grossman Group. 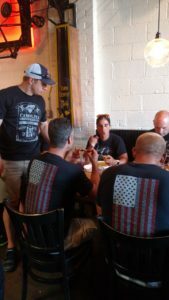 RAFG and The Grossman Group paid for a dinner to honor The Carolina Brotherhood, first responders who bike 500 miles each year (at one time, over a number of days) to raise funds for families of first-responders who have been killed in the line of action. 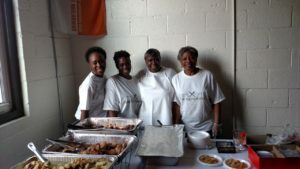 This year, the Brotherhood raised over $25,000 and we provided the dinner for all the participants. Catering for the event was provided by 3B Catering, one of our clients. The event was held at Crank Arm Brewery: which donated 10% of the evening proceeds to the Carolina Brotherhood. The mission of the Carolina Brotherhood is to provide emotional and financial support for the families of those who lost their lives in the line of duty from the Carolinas. They build awareness and appreciation of the sacrifice these extraordinary individuals have made, and seek to honor their memory. The Carolina Brotherhood is a means to provide both emotional and financial support for the families of those lost in the line of duty in the Carolinas. They are a cycling group comprised entirely of firefighters, police officers, and emergency personnel from throughout North and South Carolina. The Carolina Brotherhood cycling charity event was established in 2012. They’ve continued their mission to raise funds for the families of fallen first responders and to honor their memories. Their staff has been an integral part of the organization. The heart and soul of the Carolina Brotherhood are their cyclists and volunteers. Every year, they pound the pavement in the weeks leading up to our event to raise money and awareness for this cause. The route the riders take varies from year to year as they cycle across the Carolinas in honor of fallen brothers and sisters. This years route took them through the following cities and towns. Click on the route itinerary to view this year’s ride schedule. 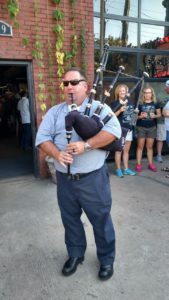 The Grossman Group takes great pride in converting their clients into raving fans and friends! They understand the power of knowledge and are constantly making strides to better position themselves in the marketplace so they can educate their clients on the latest market conditions. They currently service the entire Triangle and all of its surrounding cities such as Knightdale, Raleigh, Durham, Garner, Holly Springs, Chapel Hill, Cary, Fuquay Varina, Willow Springs, Zebulon and Clayton. Our Advisors will assist you in the critical financial areas pertaining to your individual and business financial lives. We only offer services that we are highly proficient in to help you to achieve your financial goals as we work together.